The word “with” should always be lowercase in a title unless it is the first or last word in a sentence. This is because “with” is a preposition which according to title capitalization rules are always lowercase in titles. 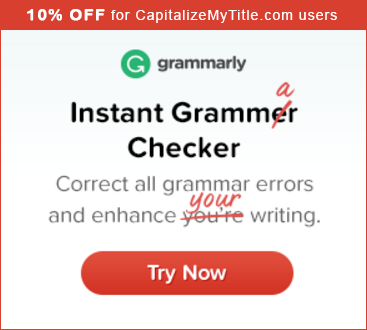 To find out what other words are always lowercase in a title, try out our free title capitalization tool. Previous articleDo you capitalize “it” in a title? Next articleDo you capitalize “world” in a title?